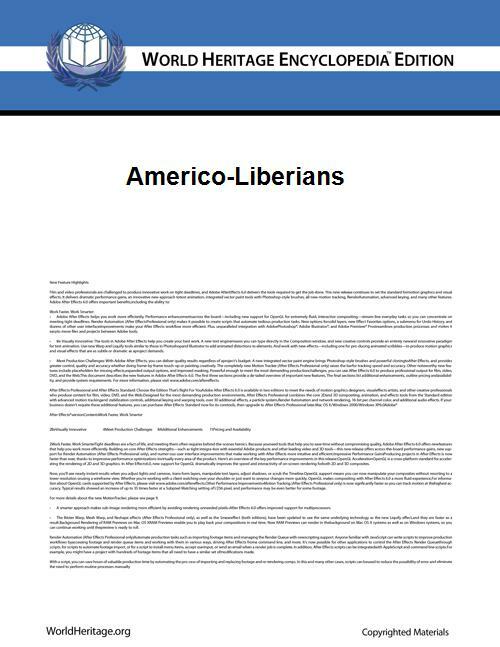 Americo-Liberians are a Liberian ethnicity of African-American descent. The sister ethnic group of Americo Liberians are the Sierra Leone Creole people who are of African-American, West Indian, and liberated African descent. Americo Liberians trace their ancestry to free-born and formerly enslaved African-Americans (who called themselves Americo Liberians) who immigrated in the 19th century to become founders of Liberia and other colonies along the coast in places that would become Cote d'Ivoire and Sierra Leone. Later, these African Americans integrated 5,000 liberated Africans called Congos (descendents of former slaves from the Congo Basins who never made it to the Americas) and 346 Barbadian immigrants into the hegemony. Like the Creoles of Freetown, Americos rarely intermarried with Natives. For much of the first 133 years after independence, the Republic of Liberia was a one-party state ruled by the Americo-Liberian dominated True Whig Party. "The love of liberty brought us here", was the motto of some 13,000 persons who crossed the Atlantic to create new settlements on the Grain Coast of West Africa between 1817 and 1867 with the aid of the American Colonization Society. These settlers founded one of two African American colonies in West Africa, theirs being the nation of Liberia, the other being Freetown, Sierra Leone, with their own descendants being referred to as 'Creoles'. The early settlers practiced their Christian faith, sometimes in combination with traditional African religious beliefs. They spoke an African American Vernacular English, and few ventured into the interior or mingled with local African peoples. Americo-Liberian society, culture and political organization remain heavily influenced by that of the United States, particularly the country's Southeast. Today, the Americo-Liberian population numbers about 150,000. Americo-Liberians were credited for Liberia's largest and longest economic expansion, especially William V.S. Tubman who did much to promote foreign investment and to bridge the economic, social, and political gaps between the descendants of the original settlers and the inhabitants of the interior. Most of the powerful old Americo-Liberian families fled to America in the 1980s after President William Tolbert was assassinated in a military coup. Although they make up only about 5% of the Liberian population, Americo-Liberians dominated national politics from its founding until Samuel Doe led a military coup in 1980. There is controversy on how Americo-Liberians held on to power for so long. Some attribute it to the fact that divisions were based on "light-skin vs. dark skin" particularly because the first president was light skinned. Observers point to the fact that during the Americo-Liberian reign the leaders were light, dark, and brown skinned meaning that theory is unlikely. Others attribute it to the Masonic Order of Liberia as opposed to colorism. A marble Masonic Lodge was once one of Monrovia's most impressive buildings and the bastion of Americo-Liberian power, and it remains intact today. The tyranny of their reign eventually led to a coup in 1980 to return power to the Indigenous Liberians which constitute majority of the nation's population. Political instability due to ethnic tensions led to the subsequent civil wars and the destruction of the country's economy, with Liberia currently being the third most impoverished nation in the world with about about 85% of the population living below the international poverty line. While globalization has made African American culture a worldwide phenomenon, Americo-Liberians left a unique American imprint on Liberia that lingers until this day. Liberia, whose name means "land of the free," undoubtedly remains the most American of African countries . The Liberian flag, government, and constitution resemble those of the United States. The former residences of Americo-Liberian families (which still stand) resemble those of former majestic plantation homes in the old American South. 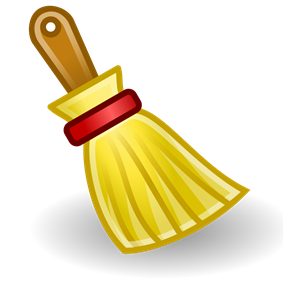 Many native Liberians still talk with hints of African American Vernacular English. By many accounts, Liberians easily integrate into African American communities. Liberian immigrants to the U.S. have the highest passport acceptance rates and the longest extension rates of any African nation. Although the old Americo-Liberians are gone, their houses and monuments crumbling, ordinary Liberians still look westward for help. In 2007 BET founder Robert Johnson called for "African Americans to support Liberia like Jewish Americans support Israel". Liberia now counts the United States as its strongest supporter in its democratization and reconstruction efforts. In 2007 Condoleezza Rice announced the U.S. State Department would cancel all of Liberia's debt. Since the end of Liberia's civil war in 2003, the United States has contributed over $750 million toward Liberia's reconstruction and development and more than $750 million to support the UN Mission in Liberia (UNMIL). The U.S. plans to commit another $342 million bilaterally and through UNMIL in fiscal year 2008. In February 2008, President Bush visited Liberia, where he held his fourth one-on-one meeting with President Sirleaf since Sirleaf's inauguration in January 2006. Ellen Johnson Sirleaf is Africa's first female President. While Johnson-Sirleaf was born and raised in Monrovia around Americo-Liberian descendents and named after a former Americo-Liberian President (Hilary Richard Wright Johnson), she maintains that all of her grandparents were indigenous . But a recent interview with PBS's Tavis Smiley, President Ellen Johnson Sirleaf stated that her grandfather was of German descent.